LIMA, Peru — Last month’s landmarkdeal to resume diplomatic ties between Washington and Havana was supposed to end more than a half-century of hostility that at one point threatened to blow the whole world to kingdom come. These days that just looks like wishful thinking. The United States and Cuba have yet to agree on the fine print needed to reopen embassies in each other’s capitals. And many US Congress members, particularly Republicans, are gearing up to block any bill that would fully dismantle the American trade embargo on the still sort of communist island. Under the embargo, US citizens are banned from traveling to the island except for 12 reasons, including academic research, journalism, religious activities and family visits. Tourism still isn’t one of them, but the license that you needed to get from the US Treasury is no longer necessary. In practice, experts say, the travel restrictions are no longer enforceable. 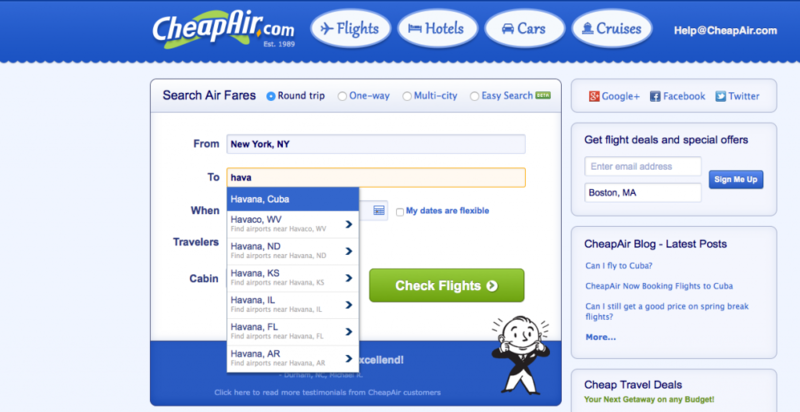 So the travel website Kayak has begun including trips to the island, and CheapAir has become the first US online travel agency to offer flights to Cuba. Like vultures over a dying animal, lawyers are already circling overhead, anticipating a pandora’s box of battles over brand names and trademarks in both the US and Cuba. Owning a trademark in the US doesn’t give you any rights to that same name in other countries. One individual, anticipating a boom of US tourism to the island, is reported to have already registered a list of American brand names there, from Denny’s and Chipotle, to Nascar and Nordstrom. Presumably, his business plan is to hawk those names to the eponymous companies when they eventually do decide to launch in Cuba. Cubans can now log on to the online streaming service, and all its content showcasing the wonders — and horrors — of the American lifestyle. Netflix announced on Feb. 9 that it wasnow available in Cuba. But there's one problem: fewer than one in four Cubans actually has access to the internet, according to rights advocacy group Freedom House, which classifies the island as “not free” online. And those who do have it usually have to battle the vagaries of creaking, early-2000s desktops and miniscule bandwidth. The Obama administration’s strategy in thawing relations with Cuba is to expose locals to US-style democracy and thus encourage it to take root on the island. But, after watching “House of Cards,” how many Cubans will actually want that? While much of Cuba’s economy may be in tatters, its heavily subsidized state-run medical system, including top research centers, is widely viewed as a flagship achievement of Fidel Castro’s revolution. The Kaiser Family Foundation has even described it as a “shining example” of public health care. Cuba has long exported skilled doctors to other parts of the world, from rural Brazil to western Africa, where they are helping to battle the Ebola outbreak. It has also pioneered treatments, such as a vaccine for bacterial meningitis that is now used across Latin America. Offering both cheaper prices and alternative treatments not always available in the United States, operators are already jockeying for position for an expected boom in US medical tourism to Cuba. Yes, Paris Hilton hotfooted it to Cuba last week. If there were any doubt that the island is now back on the map, the billionaire hotel chain heiress ended it. In one Instagram shot, she wrote: “Posing in front of the original ‘Habana Hilton Hotel’ that my great grandfather Conrad opened here in 1958.” The media couldn't resist the historical twist when she took a selfie with the son of Fidel Castro, whose revolutionary government nationalized her family's huge hotel not long after it opened. It was unclear under which of the Treasury’s exemptions she qualified to visit.